The rent at Four Winds Apartments ranges from $1,200 for a one bedroom to a $5,000 three bedroom. Apartments in this building are about 10% less expensive than the Central Business District average. This is a pet-friendly apartment. 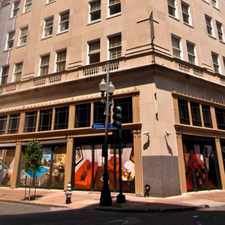 Four Winds Apartments is a two minute walk from the 12 St. Charles Streetcar at the Carondelet + Gravier stop. 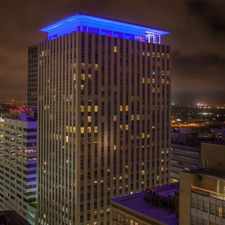 This apartment is in the Central Business District neighborhood in New Orleans. Nearby parks include Commons Park, Lafayette Square and Woldenberg Park. Four Winds Apartments has a Walk Score of 95 out of 100. This location is a Walker’s Paradise so daily errands do not require a car. Immerse yourself in the iconic revitalization of one of New Orleans most prized architectural gems. 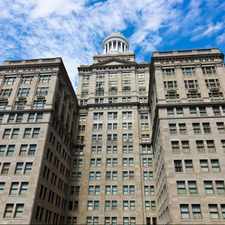 Live in the building that has stood the test of time, as beautiful and refined as the day it first opened its doors. Exquisite finishes, uncompromising luxury, state-of-the-art home technology, and simply the finest amenities in New Orleans. Studios, 1 BR, 2 BR, Penthouses. Leasing Now. Explore how far you can travel by car, bus, bike and foot from Four Winds Apartments. Four Winds Apartments has excellent transit which means transit is convenient for most trips. Car sharing is available from RelayRides and WeCar. Four Winds Apartments is in the Central Business District neighborhood. Central Business District is the 2nd most walkable neighborhood in New Orleans with a neighborhood Walk Score of 94.